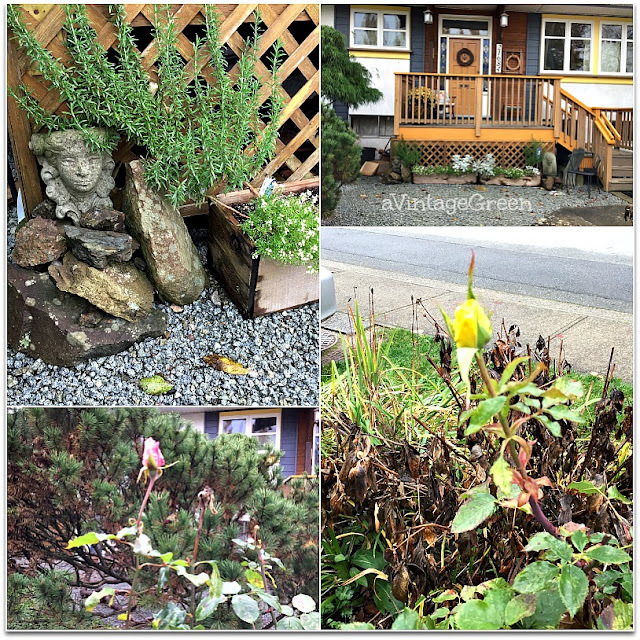 Fading flowers and golden leaves - a goodbye until spring returns. Inside plants become the colours. Christmas Cactus backed by rain falling against the window screen. Early evening sunlight on the popular trees across the street. Last of the alyssum, a pink and a yellow rose bud. The Rosemary is a perennial. Time to clean up the browned remains of the peonies and lily plants. Yes, here too--the gardens are done, leaves everywhere, and snow flurries in the forecast. Ah me. Our poplar trees are beautiful right now. We’re still a while away from peak colors but it won’t be long. Hello, lovely images and mosaic. I love the lighting on the trees. Happy Monday, enjoy your day! Have a great new week! Joy, Love the trees lit by a late sun. Thanks for sharing and have a great week. Sylvia D.
Joy - I join others in my adoration of the light on those poplars. We have 3 - 4 inches of snow on the ground already, but a warming trend this week might melt it. Never mind, the plants are asleep anyway! That is some very healthy looking rosemary - thanks for adding some 'spice' to Mosaic Monday this week! 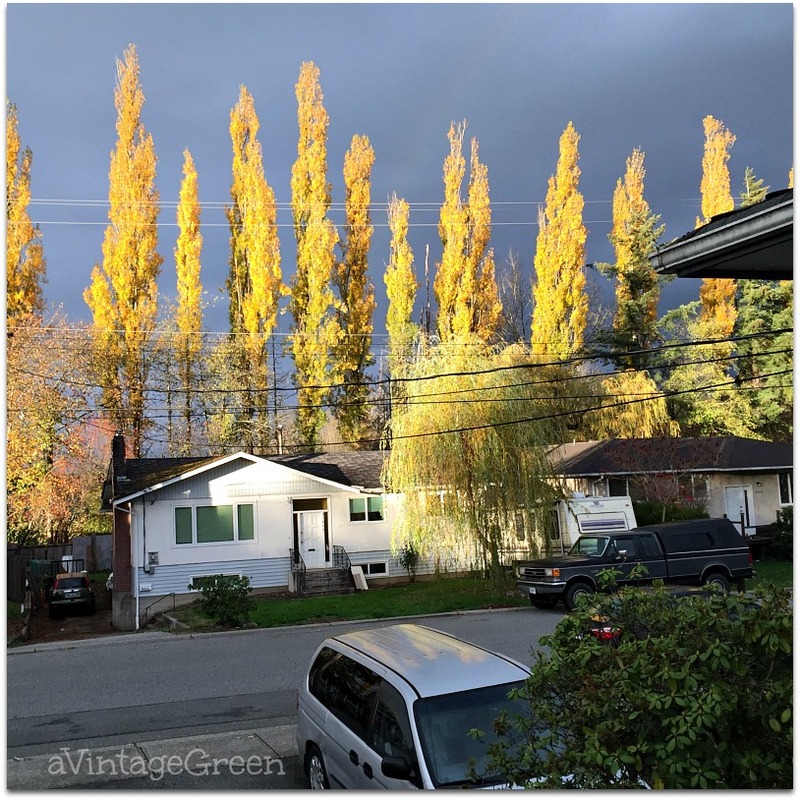 The golden high & narrow Populus trees look fantastic against the dark blue of the sky. Happy MM. 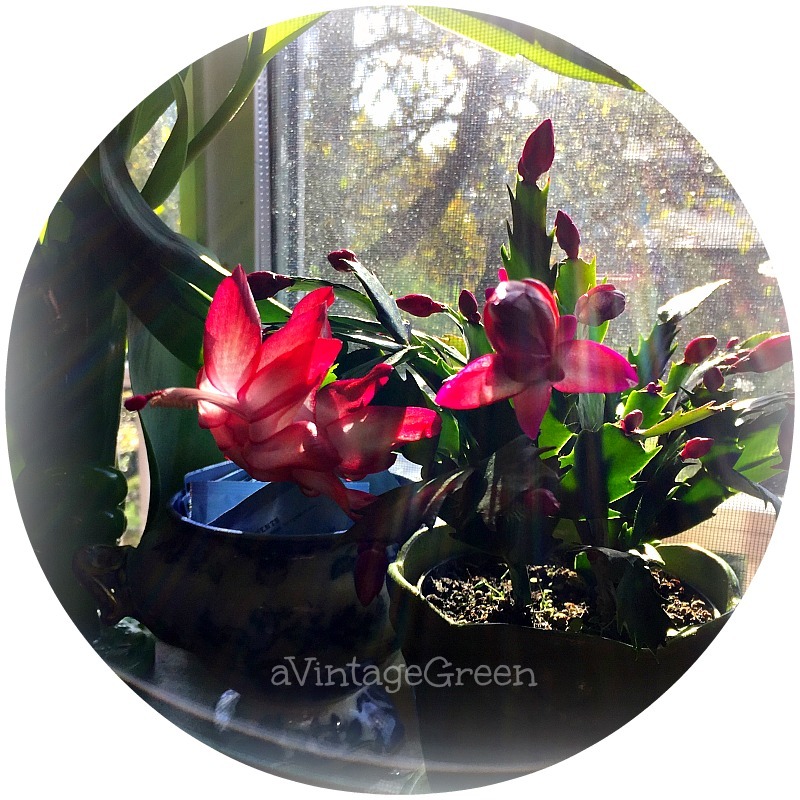 Your Christmas cactus has beautiful big blooms. The colour is starting to fade here, too, with only remnants left. The maple tree in the front yard is still quite red, but the leaves are getting thinner and thinner on the branches. that sky is really pretty as a background even tho its so dark.